Q: I’m a big fan of “The Twilight Saga,” and I love learning all about the vampires and werewolves. But what about the humans? 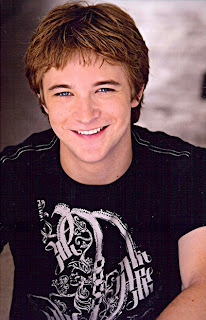 Can you tell me a little about Michael Welch, the actor who plays Mike Newton in the series? — Elly B., Portland, Ore.
A: Kelsey’s second attempt at starring in a successful sitcom after the demise of Ÿber-hit “Frasier” has been derailed. ABC recently announced that it was ordering full seasons of the other three Wednesday night breakout comedies — “The Middle,” “Modern Family” and “Cougar Town” — but “Hank” didn’t make the cut. For now, ABC will air reruns of “Modern Family” (my favorite comedy this season by far) and holiday specials in “Hank”’s timeslot. On that same cancelation note: Fox’s “Dollhouse” will end after its 13-episode second season, and ABC’s “Eastwick” also has been given the ax. Rumors are swirling that Lifetime Television has expressed an interest in airing Season Two of the witchy drama, so stay tuned for further developments on that front. A: Jack Bauer and company will be back to save the world for the eighth season of “24” premiering Monday, Jan. 17 on Fox. Joining the cast this season will be Freddie Prinze Jr., who plays a character named Cole Ortiz, a former Marine who wants to follow in Jack Bauer’s footsteps. In real life, Freddie and his wife, Sarah Michelle Prinze, recently welcomed a daughter, Charlotte Grace. Q: I just saw a great episode of Fox’s “Lie to Me,” and the main guest star was Alicia Coppola. Is she one of THE Coppolas (i.e. : Francis Ford Coppola, Sophia Coppola and Nicolas Cage)? — Jackson G., Pompano Beach, Fla.
A: Alicia, 41, is not related to the Coppola acting/directing dynasty. She is best known for her roles on the small screen on “Another World,” “JAG,” “NCIS” and “Jericho,” as well as the feature film “National Treasure: Book of Secrets.” Alicia is married and has two daughters.